Clowns are a great addition to make every one smile at your next event. 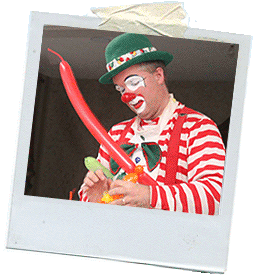 Our Clowns are professionally trained fun, gentle and have a pleasant demeanor that makes children comfortable and laugh. Whether you are hosting a child's birthday or a formal corporate event we will blend appropriately.